With our favorite gifting season here, it is time to talk about the gift of college — the gift that keeps on giving! There are 28 Florida colleges and the Florida Prepaid College Program has expanded their capabilities far beyond the two-year programs. There are different options to choose from, for example the 4-Year Florida College Plan provides a practical, affordable path to a bachelor’s degree. Like all of the different plans, every cent of the value of this plan can be applied at any university or college nationwide and is guaranteed by the state of Florida. You cannot lose the money you put in. 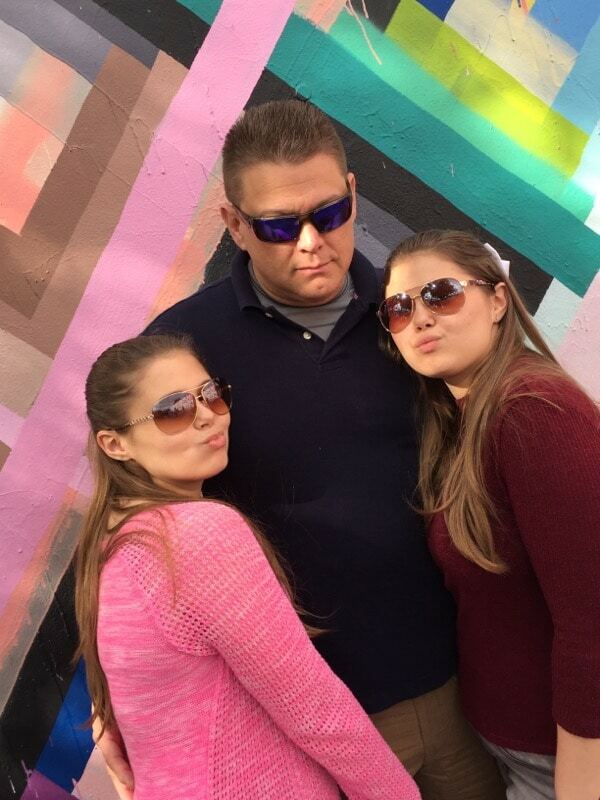 Cris Kish with his twin teen daughters, Sophia and Olivia. 1. Please share details on which Florida Prepaid you registered your child to receive, the age of your children at that time and when how old they are now. We signed up our twins when they were two and just getting out of diapers. We decided to invest the money we had been spending on double diapers into their double college tuition that would arrive one day. 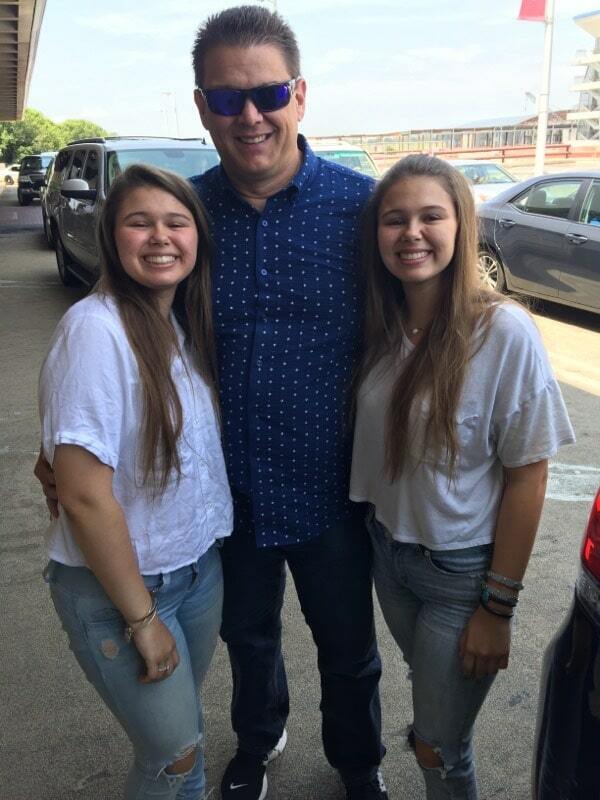 Now they’re 15 and that reality is getting much closer but we’re ready. We invested in the Florida Pre-paid tuition program that froze the tuition rates at the level it cost in 2004 vs. today’s current rates. We couldn’t afford to add the dormitory costs at the time and will have to cover those expenses at present-day rates. Today we would have preferred to enroll in everything but have the peace of mind that tuition is covered. 2. How did you find out about Florida Prepaid and where did you look for information? A financial planner recommended to us mentioned the importance of planning for the future included more than retirement. The conversation around future savings included the question regarding how we would cover college expenses in the future. It was particularly important for us as we would likely not have a window between the time our children will attend collage- it mostly all happens at once with twins! 3. How did your own experience financing for college contribute to the decision on signing up for Florida Prepaid. My parents were much older when I went to college and semi-retired as I’m the youngest in my family. I mostly paid for college between work, help from my parents and benefits from the government for having more senior parents. I didn’t want our children to have those worries and therefore planning our financial future meant that my wife and I would make sacrifices earlier in our marriage and life so that they would have a more secure future and more opportunities to pursue their dreams. 4. Tell us about the decision process with your spouse. Did other family members got involved? Like with any financial planning, it takes both parties to make the best decisions. Since you have to decide to save money you can otherwise spend in other ways, it’s a family decision. Our parents have both contributed to our daughters’ savings plans- it is a tax deductible gift donation. 5. When did you start raising the topic of the prepaid college programs with your children? How do you think this has contributed to their perspective on going to college? Luckily we have raised our daughters to be stellar students. We have been talking about a college education since they were able to understand that studying and dedication will help propel you to achieve your dreams. We have visited numerous colleges and universities throughout their childhood while on vacation. So while we encourage them to pursue their best academic achievements, they do have the peace of mind knowing we have savings set aside for them. We have a daughter who wants to be a pediatrician and one that will pursue a career in film- writing, directing, etc- so we know that those savings will come in very handy! At a time when so much in the world is uncertain, saving for college through Florida Prepaid College Plans can help you ensure your child’s financial security. This entry was posted in College Prep, Parenting Teens, Senior Year & Prom and tagged college prep, College savings, Florida Prepaid. Bookmark the permalink.